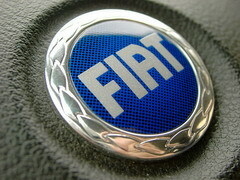 Fiat’s expansion plan is not just limited to buying 20 per cent stake in Chrysler but they have gone beyond it. The Italian Auto makers are looking forward to acquire. General Motors’ European operations, including Opel, Vauxhall and even Saab – this is the latest news in the auto industry. If the reports are true, the Fiat, along with Chrysler and GM Europe, are going to become one corporate entity worth about 106 billion dollars, which means they become the second largest automakers in the world after Toyota. They are going to be a real challenge to Volkswagen. About the amalgamation of the companies, Fiat’s CEO Sergio Marchionne in an interview to the Financial Times, has said that this was a “marriage made in heaven from an engineering and industrial point of view”. Stating that the move had the full support of the board, Marchionne hoped that the deal would be completed in May. Marchionne also hoped that that the merger would make the company a stronger entity in the market. The CEO also pointed out that about one billion Euros could be saved each year through the merging of Fiat and Opel’s B and C segment platforms and also with the absorbing of Opel’s larger D platform and Fiat’s sub compact A segment. Even though the Italian Auto makers have gone ahead with the merger, they are facing opposition from many quarters. The German trade unions have raised their opposition and raising concerns about job loss and closure of factory. Buying An SUV? Here’s Why You Need To Seriously Consider A Land Rover!